What Is A Ceramic Coating For Cars? The easiest way to understand ceramics coatings is to think of them as a second layer, or a sacrificial layer of protection over your car’s paint or clear coat. Ceramic coatings utilize nanotechnology, which is essentially tiny particles that form a very fine, thin layer completely invisible to the eye on top of your car. The formulation of HydroCharge Ceramic is so refined that once applied to a surface, it works fast at sealing all the tiny pores, making the surface water-repellent. HydroCharge adds superior resistance to UV, scratches, chemicals, and heat. What is HydroCharge Ceramic Spray Coating? 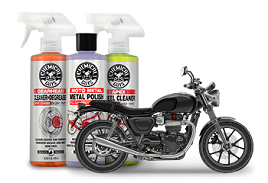 Hydro Charge is a sprayable clear, liquid nano-ceramic coating. Hydro Charge can be described as an additional clear coat, with 3 times the hardness and self-cleaning hydrophobic properties. Why Would I Want To Use This On My Vehicle? HydroCharge delivers superior surface protection coupled with hydrophobic properties helping accelerate water run-off while you wash and dry. The unique ceramic properties help reduce surface scratches, oxidation, and corrosion. The durable ceramic shield delivers unmatched UV protection to help protect against premature aging. The dark, deep brilliant finish that HydroCharge leaves behind is just the icing on the cake! Does HydroCharge Fade, Crack Or Yellow? No, HydroCharge will not crack, peel or yellow. Our products have undergone years of real-life testing in some of the world’s harshest environments and surpassed every one of them. Can I Apply HydroCharge Ceramic To My Own Vehicle? Yes, the product is developed for both professional and DIY use! We have great easy-to-follow videos and Detail Garage locations across the globe to help and assist you if needed. What Do I Use To Maintain My HydroCharge Ceramic Coating? Keeping it looking great is made easy with HydroSuds Ceramic Car Wash! The high-foaming formula is the ideal choice to maintain your ceramic coating as it adds additional protection with every wipe of your mitt. Washing your vehicle is made easy after applying HydroCharge primarily because of the superior hydrophobic properties of the product. How Long Do I Have To Wait For It To Cure? HydroCharge Ceramic Spray Sealant is an ambient air cured coating. No special lighting or infrared light is required. 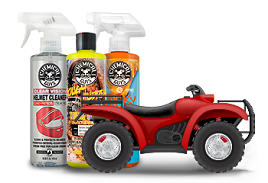 The unique sprayable formulation starts to cure the moment it is sprayed out of the bottle and exposed to air. Once applied to the surface, the product will bond within 1-2 minutes. Always remove and buff to a perfect shine with a premium microfiber towel. After applying HydroCharge Ceramic Coating, it is ideal to keep it out of the elements in a dry and clean environment for 2-3 hours. Depending on the climate, the hydrophobic effects will continue to improve even more after 24 hours of being applied. Can I Layer This Product To Make It Last Longer? Yes, HydroCharge Ceramic Spray can be layered. We have found in testing that 2 rounds are more than enough for any surface we have tested. We do have aerospace clients that have gone as far as 4 coats. Can I Use It On Interior Surfaces? No, HydroCharge is developed and recommended for use on exterior surfaces only. I Am Still A Little Confused As To Just How Ceramic Works? Nano-technology allows HydroCharge to fill the tiny pores in the paintwork. This unique ceramic coating delivers an even coating over your paint’s surface making paint surfaces shiny, smooth and extremely slick and hydrophobic. An even smooth surface means dirt and water slip right off. What If My Car Already Has A Ceramic Coating? HydroCharge will revitalize your existing ceramic coating, increasing the shine, water beading, and protective properties. It will help your existing coating last longer, look its best, and protect the strongest. Due to its spray application, HydroCharge is an excellent way to maintain your existing ceramic coating, helping extending the periods between application. Do I Have To Prep The Surface Before Applying? Yes! You wouldn’t play in the mud and then put on a suit, so why would you apply a ceramic coating before properly cleaning the surface? Before applying any ceramic coating or sealant, it is key to make sure the finish is in perfect condition and correctly prepared. For best results, we recommend using a soap like Clean Slate which will remove any wax or sealant from your car. Next, you will want to clay the surface to remove any contamination from your paint which could impede the strongest bond between HydroCharge and your paint. If your paint needs it, you’ll probably want to polish out the scratches and swirls. 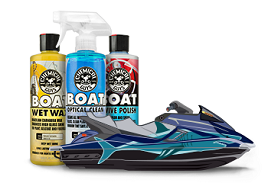 Finally, when you’re done with that, use Wipe Out to remove any lingering polish, waxes, or sealants. The surface is now ready for HydroCharge! How Long Does Protection Last? HydroCharge can last up to one year on clean and clayed surfaces. The precise duration of your application will depend on a number of factors, including: the climate where you live, how often you drive your car, how well you applied it, where you store it, and more. Can I Use Waxes, Glazes, Sealants, Or Quick Detail Sprays After This? HydroCharge is layerable with all your favorite Chemical Guys waxes, sealants, and quick detail sprays. Simply wait for HydroCharge to dry and then proceed as you would on any other car. What Is The Difference Between This And A Ceramic Coating? HydroCharge IS a ceramic coating, it’s just in a new form that you probably aren’t used to seeing. Instead of a liquid that is spread onto the surface, HydroCharge is a spray formulation that allows for easy application. It’s all the benefits of a ceramic coating without the difficult application! Can I Apply On Top Of Existing Waxes And Sealants? HydroCharge needs to bond to bare paint and thus cannot be applied over existing waxes and sealants. Waxes and sealants will act as a barrier in-between HydroCharge and your bare paint, impeding a strong bond. For best results, we recommend using a wax stripping shampoo like Clean Slate, or a product like Wipe Out which will remove all existing waxes, sealants, and glazes to fully prep the surface. Do I Need To Throw Away The Towels Or Applicator After Application? As long as you wash your towel or applicator immediately after application, you do not have to throw them away. If you do wait, the product on the towel will permanently harden, and you will have to throw it away.